THE BIG INTERVIEW RETURNS FOR SEASON SEVEN WITH WITH FORMER JOURNEY FRONT MAN STEVE PERRY! The Big Interview – Dan Rather, Steve Perry – Photo courtesy of AXS TV. AXS TV’s popular original series The Big Interview returns on Tuesday, April 16th, when Dan Rather interviews former Journey front man Steve Perry. Carl and Rob Reiner, Cyndi Lauper and Billy Bob Thornton are among the Rather’s guests for the show’s ten seventh season episodes. Details follow. Ringling Bros. and Barnum & Bailey® Circus: The Final Farewell – The End of an Era! Once upon a time, every little boy – and many little girls – dreamt of running off and joining the circus. Not anymore. For many reasons, the circus is now largely a thing of the past – but it’s exorbitantly humongous live performances were such a huge part of many people’s lives that AXS TV and Feld Entertainment have partnered to chronicle the passing of ‘The Greatest Show On Earth:’ the Ringling Bros. and Barnum & Bailey® Circus. The 90-minute documentary Ringling Bros. and Barnum & Bailey ® Circus: The Final Farewell will premiere on AXS this spring. Details follow. AXS TV Acquires Music Doc Series The Day the Rock Star Died! The Day The Rock Star Died – an in-depth look at the legendary lives and devastating ends of some of music’s most influential artists – has been acquired by AXS TV. The 15-episode series will premiere on Tuesday, Octovber 2nd (8:30/7:30C). Prince, Bowie, Hendrix Celebrated On New Season of The World’s Greatest Tribute Bands! AXS TV’s live concert series The World’s Greatest Tribute Bands will feature the music of Prince and David Bowie in two 90-minute episodes this season. For the first time, the show will also present a Jimi Hendrix tribute. Other artists being celebrated in the show’s regular hour-long format include: The Beach Boys, The Rolling Stones, Journey, Jimmy Buffett, The Who, Bob Seger, and Pat Benatar. The World’s Great Tribute Bands returns in September – leading off with the Prince and Bowie tributes on September 14th and 21st, respectively. For the show’s complete schedule, follow the jump. Breaking Band: One Legendary Musician, One Breaking Creator, One Collaboration Performance! AXStv is giving up and coming artists a chance to be mentored by some of the biggest names in rock & roll as they prepare for their debut broadcast performances. Breaking Band, hosted by Donovan Leitch, brings Dave Navarro, Moby, Sebastian Bach, Robin Zander, Belinda Carlisle, and Mark McGrath together with half a dozen bands (five from the U.S., one from Finland) to mentor them but, in a bit of a shift from the expected, the mentors learn much from the mentored, as well. Follow the jump for the complete list of episodes and find out who these stars will be mentoring. 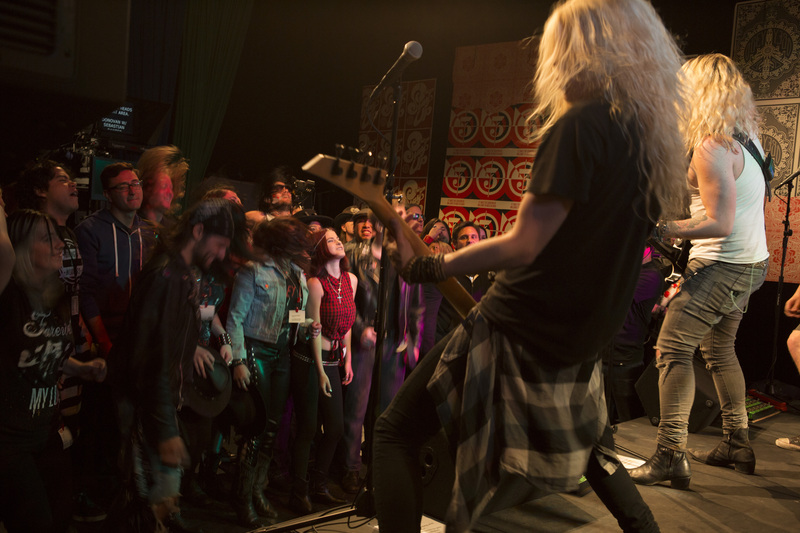 Breaking Band premieres on January 24 (9:30/8:30C). Heart, Gregg Allman, Quentin Tarantino To Appear On Season Three Of The Big Interview! 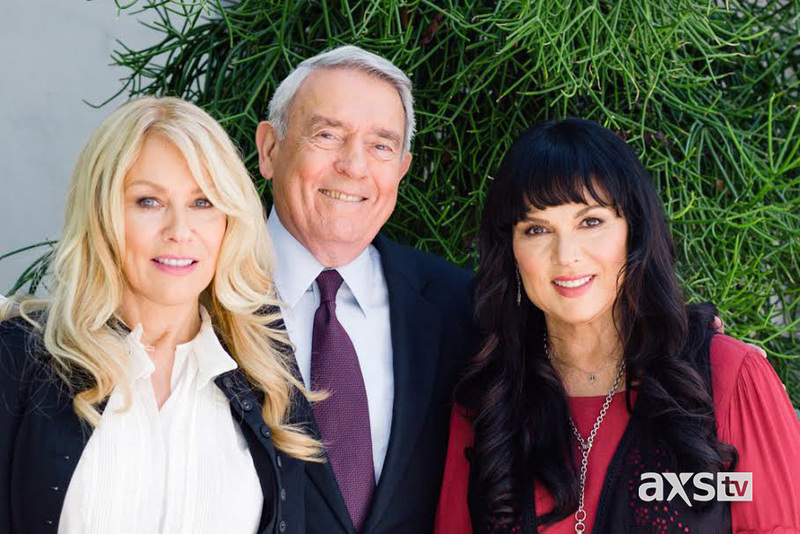 Dan Rather interviews Anne and Nancy Wilson of Heart in the third season premiere of The Big Interview (AXS TV, Tuesdays, 8/7C) when it returns on October 20th. Also among the subjects of third season episodes are legends of music and film Gregg Allman, Patti Labelle and Quentin Tarantino. for further details (including the complete of season three episodes) follow the jump.